The weather has been on the cold side for Key West but compared to up North it’s been heavenly. North wind and air temps in the 60’s and 70’s-very pleasant. 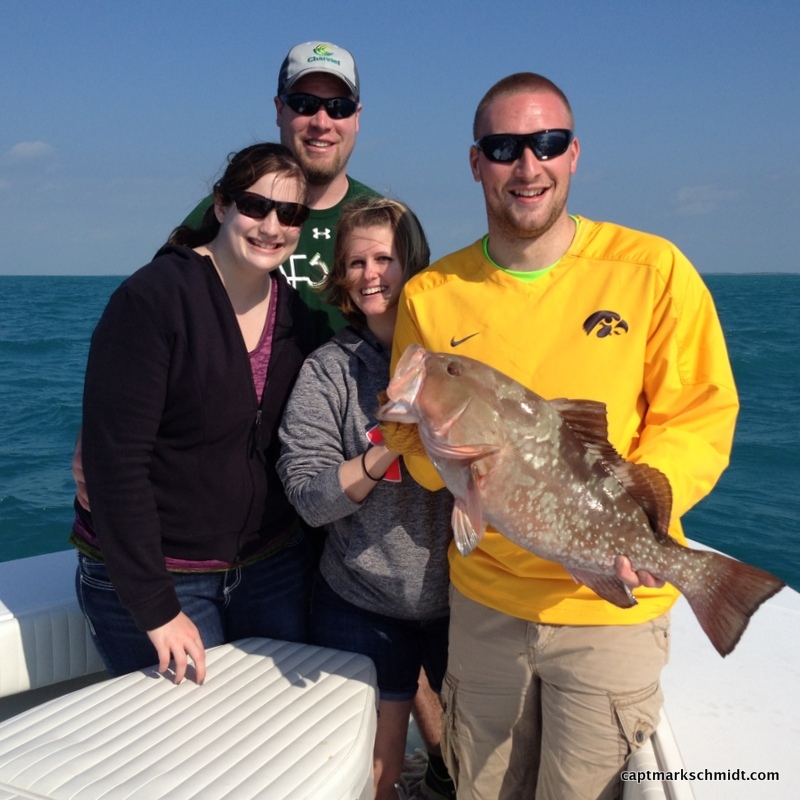 I’ve been mainly bottom fishing and it’s been pretty good with plenty of grouper, yellowtail and lane snapper. 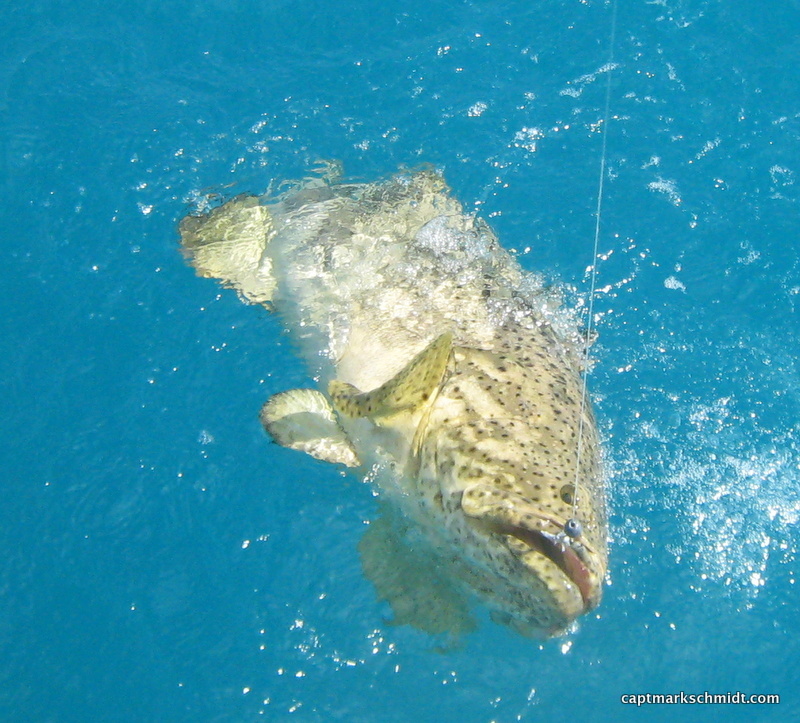 Grouper is out of season where we are fishing and it pains me to release them! 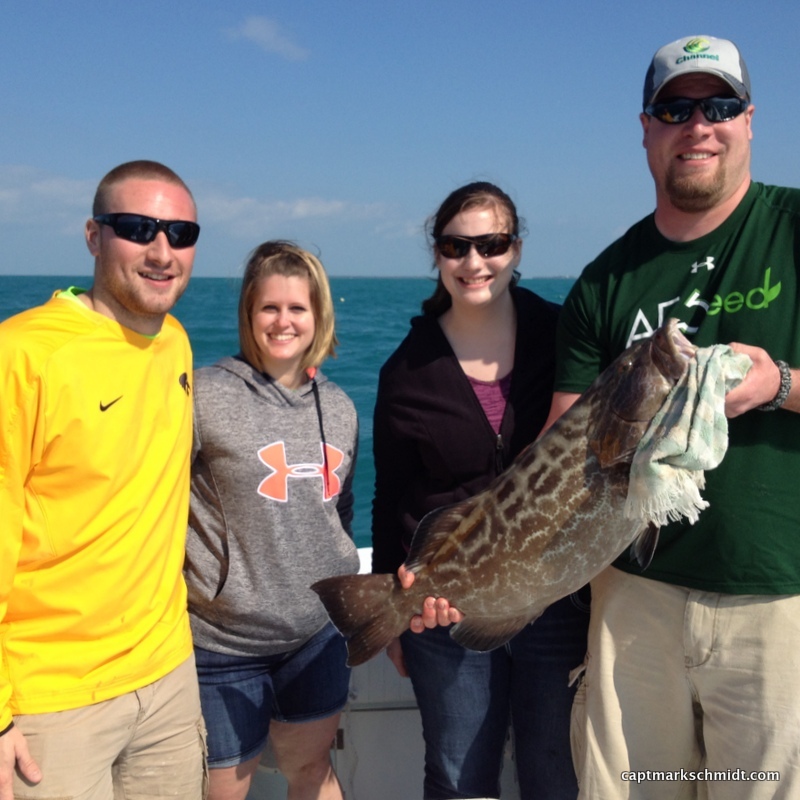 Pictured are Iowans Nick, Halie, Sarah and Jordan with 2 of the many grouper they caught and released with me as well as snapper, jacks and a shark.They were in Key West and saltwater fishing for the first time. After battling technical issues Capt. Mark Schmidt is back blogging again. That may not be good news to some folks, but OH Well! Fishing wise we have been fighting the wind and yesterday the rain. 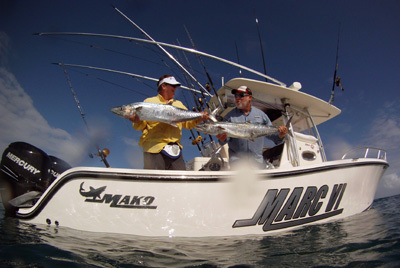 There have been some good catches of tuna, kingfish, grouper and snapper when we can get out. 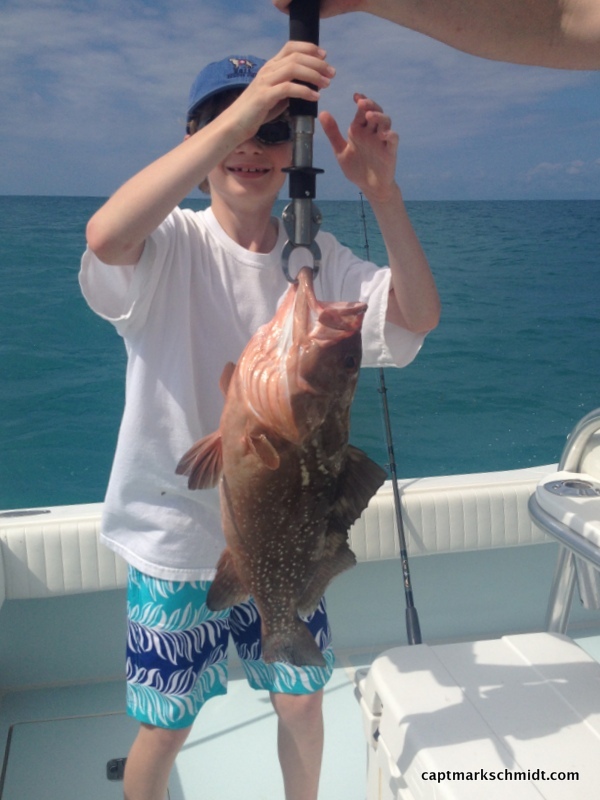 Above is Jeff with a nice red grouper we caught and released per the current fisheries regulations. 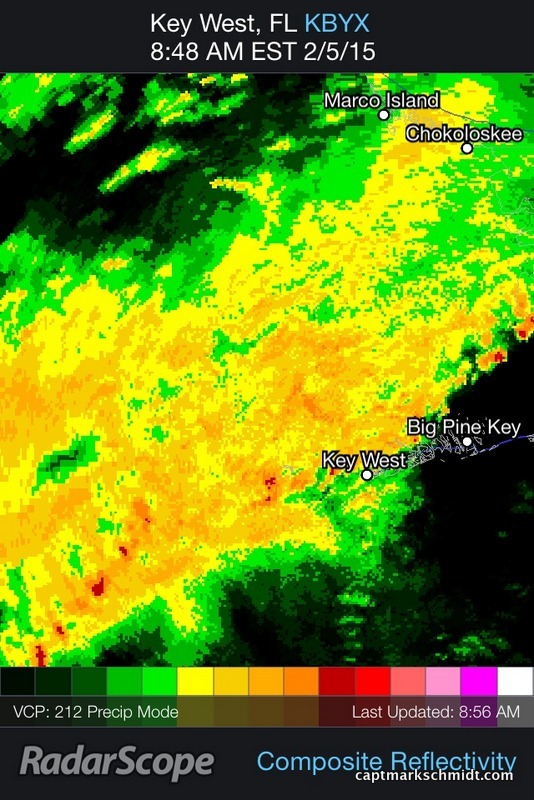 Also a radar shot of what we had to deal with yesterday. Another tarpon season is winding down. Below George fights one on fly he eventually caught. 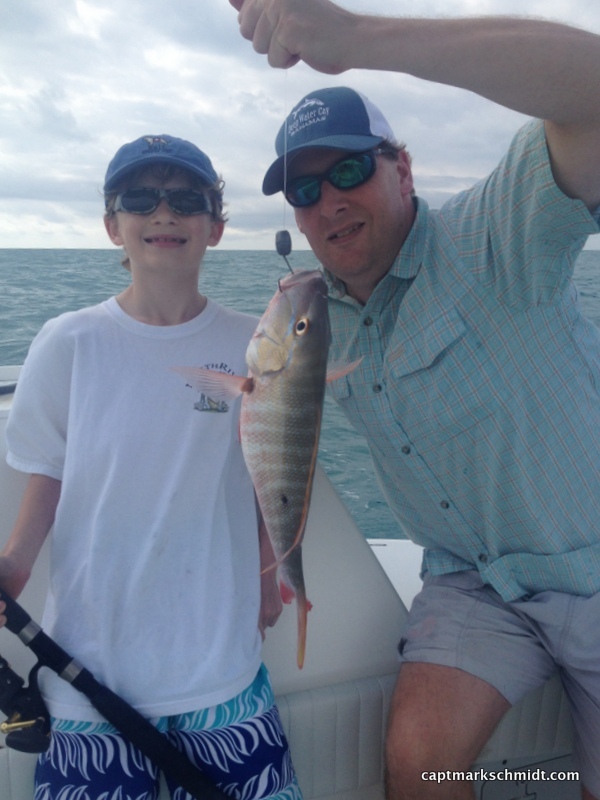 Recently I have enjoyed taking out family’s with the goal of getting the kids interested in fishing and in most cases catching their first fish. I am grateful to these parents as youth participation in hunting and fishing is on the decline. 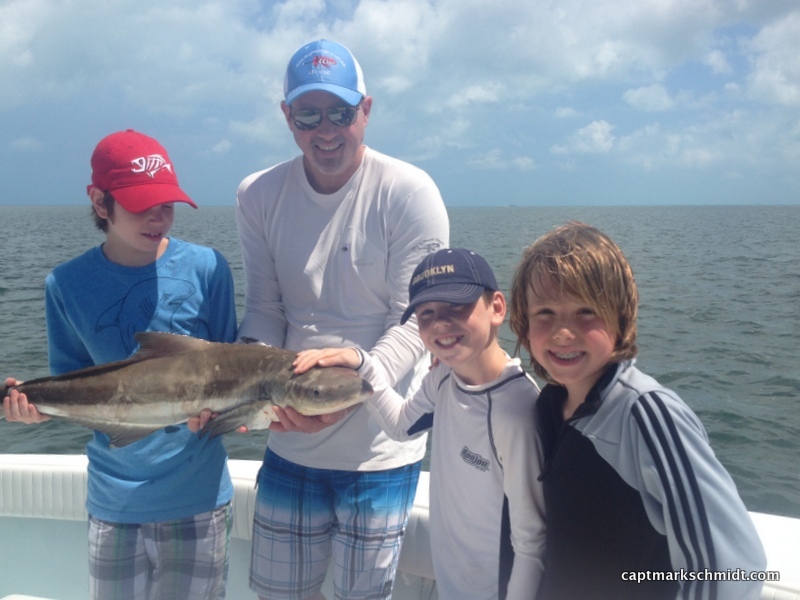 We had great fun catching snapper, grouper, cobia and sharks. One afternoon we caught 2 hammerhead sharks, one of which I estimated at close to 200 lbs. Most of the fish and all of the sharks were released to fight again another day. 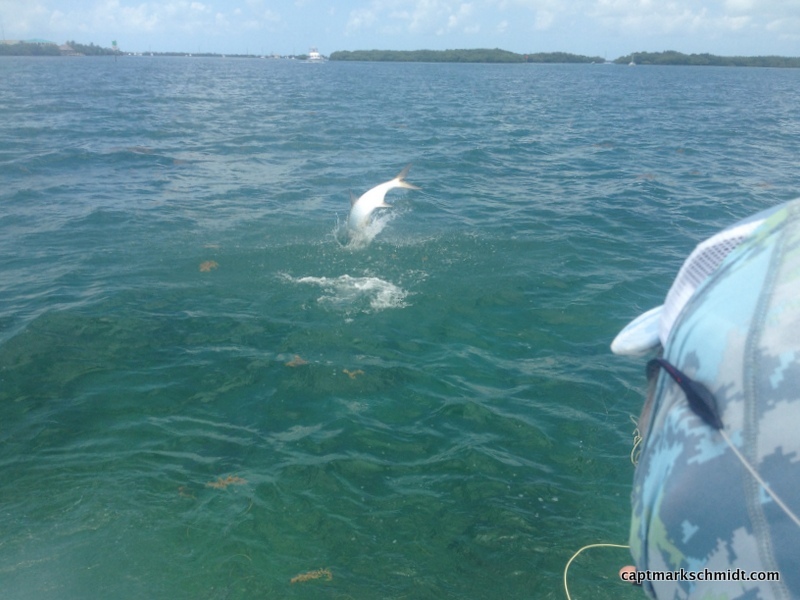 In the last few weeks I’ve been tarpon fishing with the fly rod and the wind has been wreaking havoc with our fishing. I’m looking forward to the hot slick days that should be happening now. One of my sponsors, Pro Guide Direct just launched this new commercial. Take a look! You can check out my Pro Guide Direct GearLists here. I recently spent some very enjoyable time on the water with 10yr old Elizabeth (aka Lizzie) and her Aunt Nancy. 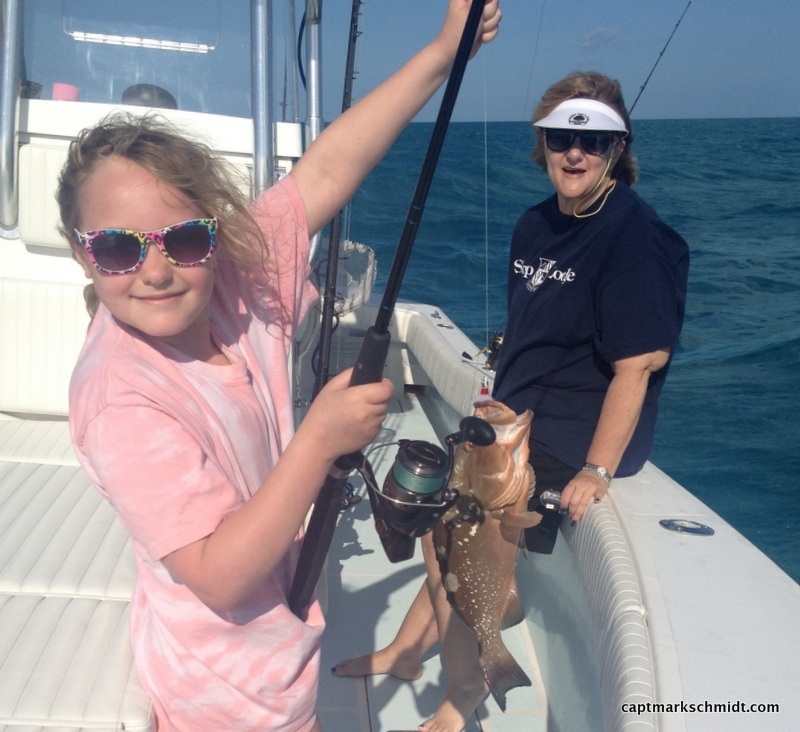 This was Lizzie’s very first time fishing and she quickly showed she could catch everything from grunts to groupers. She even hooked a 50lb goliath grouper that nearly pulled her out of the boat before we came to her rescue and helped land the fish. On the way home we looked for bottlenose dolphin and after finding several pods Lizzie’s day was just about perfect! 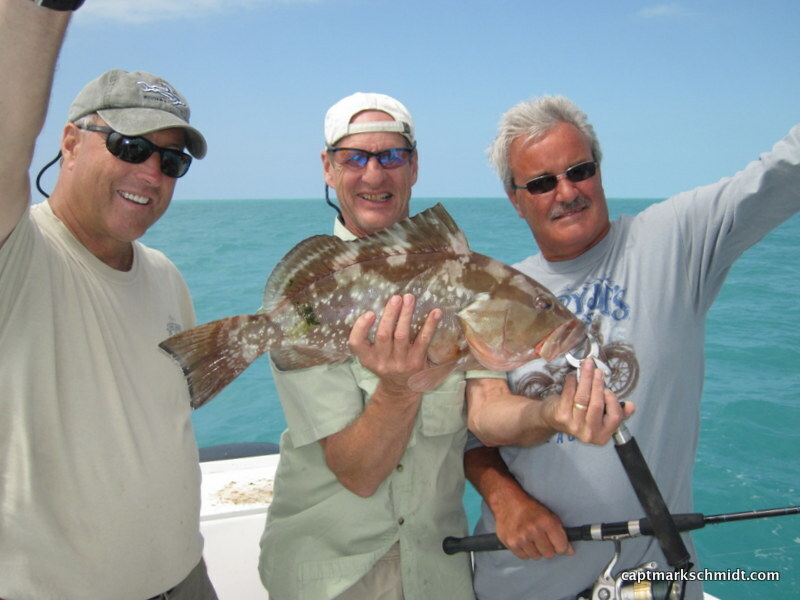 George Poveromo’s World of Saltwater Fishing….Finally! 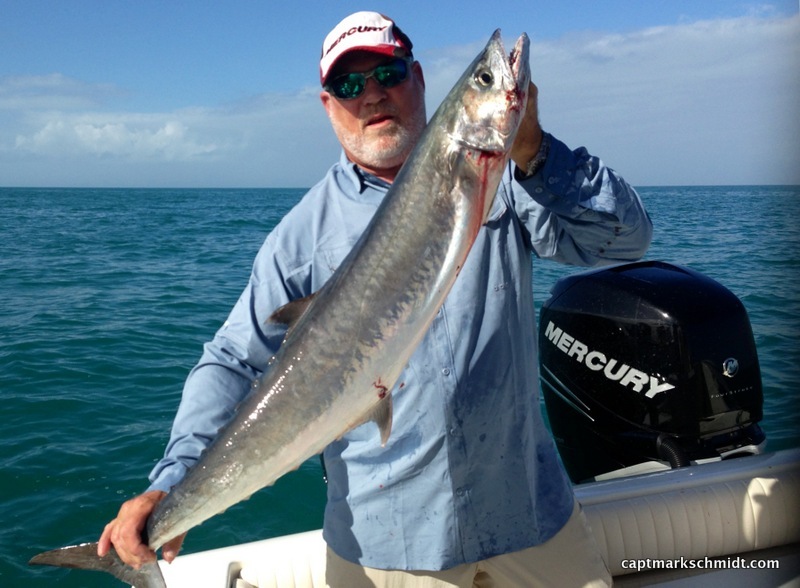 Big king mackerel, Key West style! This big king turned into smoked kingfish and smoked kingfish dip! 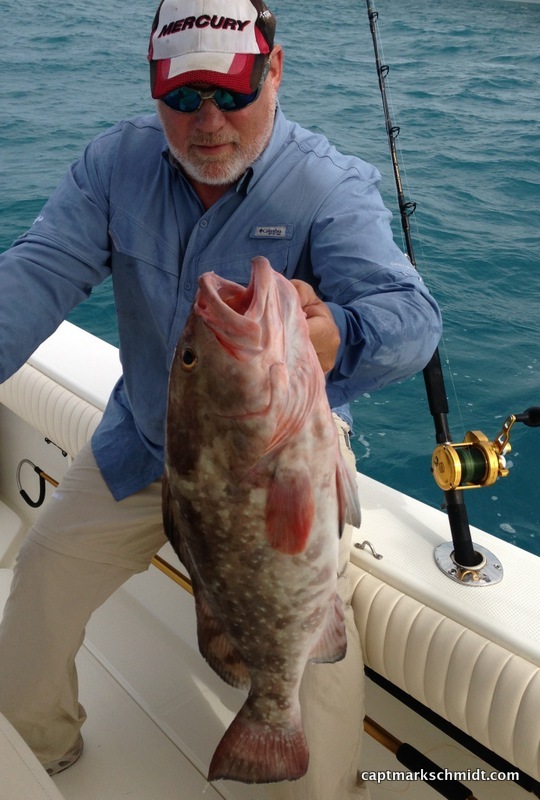 The wily captain himself – Mark Schmidt, with a big red grouper. While fishing the other day we ran across this little bird floating in the middle of nowhere. 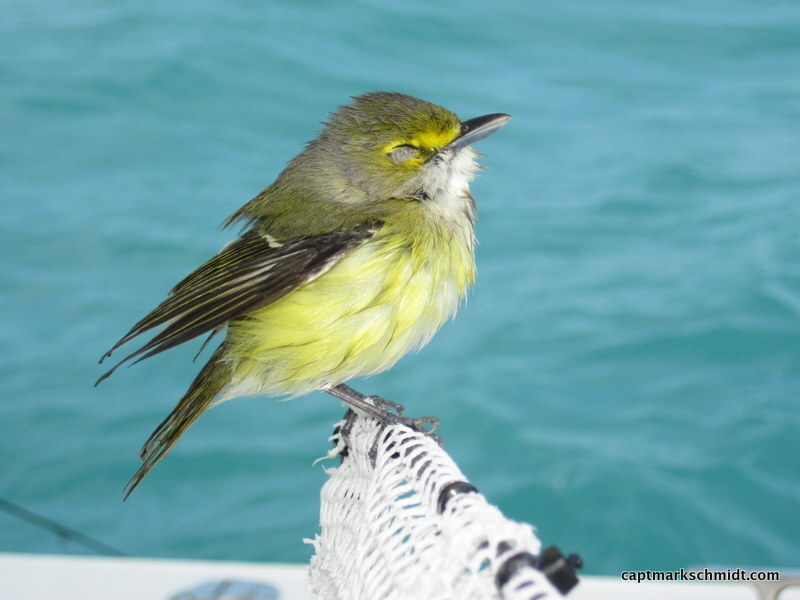 After scooping him up in my bait net he rested for awhile and then took off into a stiff north breeze toward Key West. Hopefully he made it. 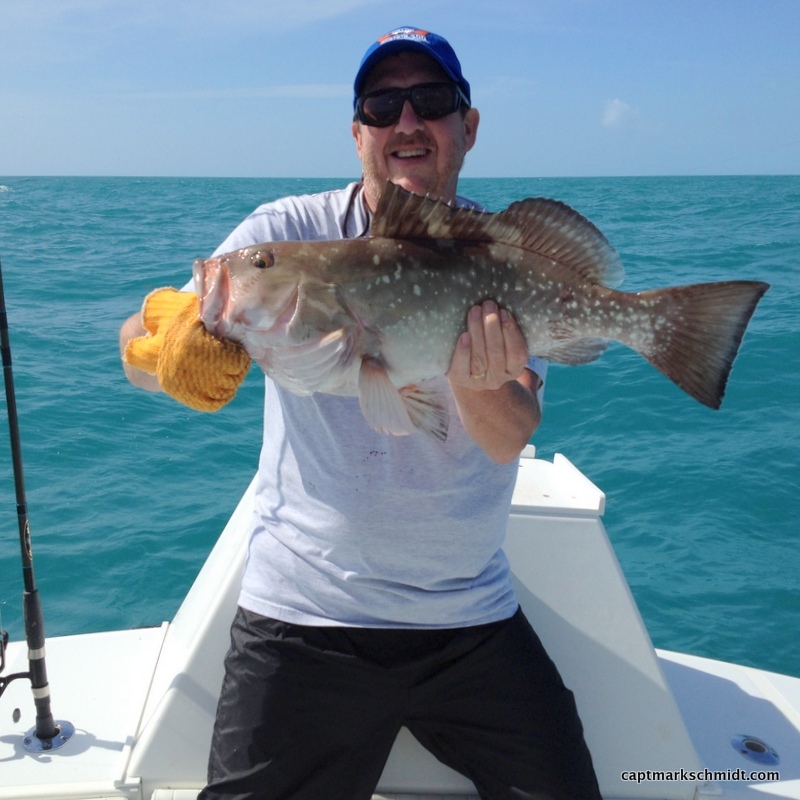 Bob, Steve and David made it a successful day of fishing, releasing a bunch of red grouper and keeping a few snapper for dinner. They hail from Michigan and were glad to get some relief from the frozen north. Apparently the Olympics caused a scheduling change so my show has been moved back to March 26th on the NBC Sports channel. Pictured below is a kingfish that might make it on air. March 19 (Wednesday) – 3:00 p.m.
June 11 (Wednesday) – 3:00 p.m.
June 15 (Sunday) – 10:00 a.m.
March 16 (Sunday) – 12:30 p.m. & 9:30 p.m.
March 17 (Monday) – 3:00 p.m.
March 19 (Wednesday) – 11:30 a.m. & 8:30 p.m.
March 20 (Thursday) – 2:00 a.m.